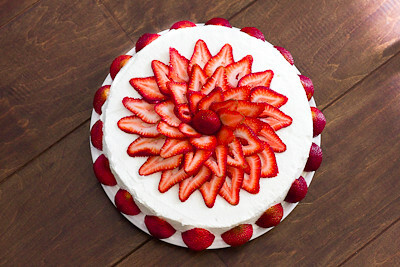 This week's Tuesdays with Dorie: Baking with Julia recipe was hosted by Sophia of Sophia's Sweets and Allison of Sleep Love Think Dine: French Strawberry Cake. It's a genoise, or Italian sponge cake, made without any chemical leavening agents. 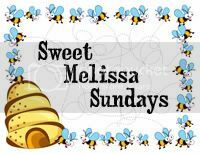 Instead, the sponge is made by whipping air into the batter and the dry ingredients are folded in. The batter is extremely delicate, and over mixing will cause it to deflate. 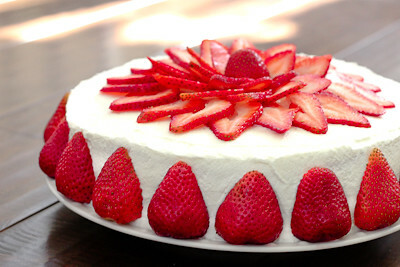 The cake is then split into three layers, and then strawberries and cream are layered into between each cake layer. I had a few small issues with this cake. First, I was traveling and did not have an 8-inch cake pan. I had to use a larger pan, and the resulting cake was too thin to cut into three layers. So, I ended up baking a second cake and splitting both cakes into two layers instead - resulting a 4-layer cake instead of a 3-layer cake. Even though I whipped up a full 2 cups of heavy cream (instead of the indicated 1-1/4), I did not have enough cream to pipe around the cake. 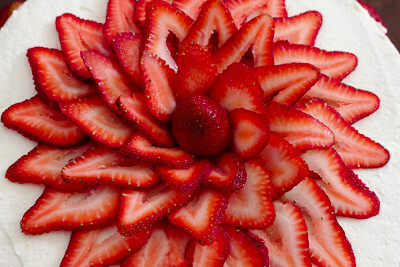 Instead, I decided to just decorate my cake with more fresh strawberries. Thanks to Sophia and Allison for hosting; you can find the recipe on their blogs here and here. Make sure you check here, too, to see what everyone else thought of wonderful summer treat. - Be very very careful folding your ingredients together, especially the butter. If you're not careful all is lost and you shouldn't even bother baking up the deflated batter. - I'd recommend using at least 2 cups of heavy whipping cream to frost the cake.